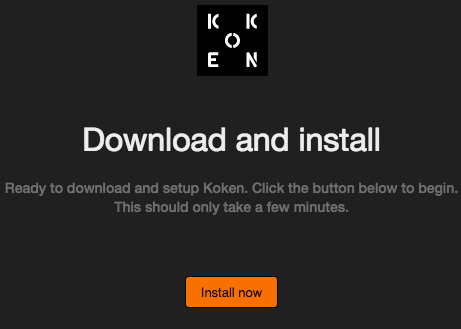 This article explains how to install Koken on your Media Temple VPS with Ubuntu 14.04. Koken is an open-source content management system (CMS) that makes it easy to showcase your photos. Built from the ground up with photographers in mind, Koken is loaded with design-centric and easy to use features that can help you present your photos in the best possible format. These installation instructions assume that you have a fresh Ubuntu 14.04 install on your Media Temple VPS or dedicated. To change your Media Temple VPS operating system through the Account Center, see these instructions. If you already have a standard LAMP stack or a web server and database software installed, you can skip to step 3. For more in-depth instructions for installing and configuring a LAMP stack, check out this community article. Begin by connecting to your server via SSH as either root or a user with sudo access. Connect via SSH - Community article with instructions. Apache is a common web server software for Linux operating systems. Other popular web servers like Nginx will also work fine. 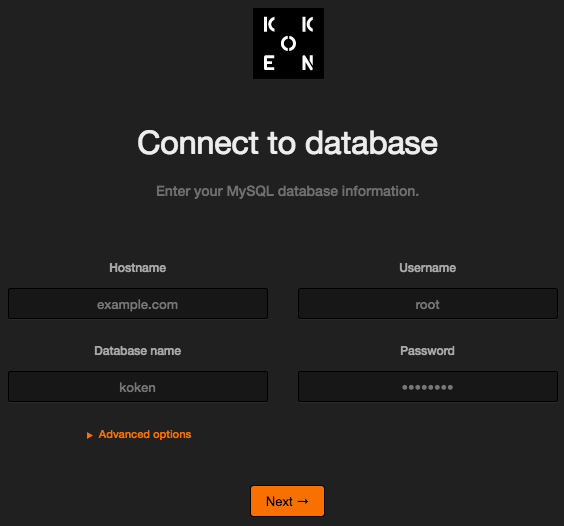 Koken requires a database for file storage and organization. These instructions are for MariaDB, which is a powerful database utility. There's no reason to change to MariaDB if you already have a different database utility installed. During installation of MariaDB, remember to write down the DB password that you set. The following instructions are for installing Koken in the domain's primary folder (yourdomain.com). 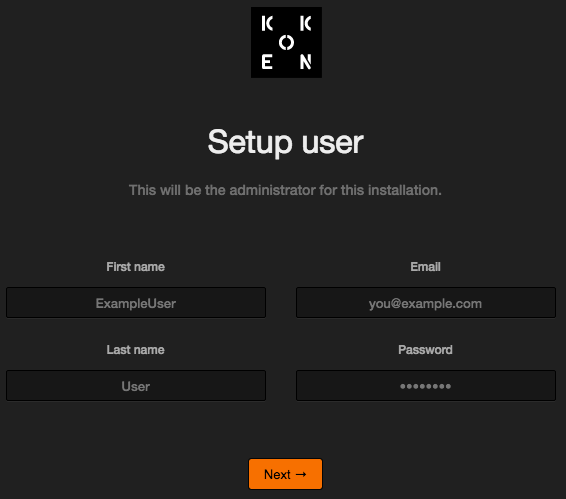 If you would like to keep your installation in yourdomain.com/koken, skip to step 6. It's possible that you already have a default apache index.html in var/www/html/. If this is the case, it may take precedence over Koken's index.php unless you have configured a directory index in your .htaccess or have changed the settings in httpd.conf. If you are not sure, simply rename index.html. In your browser, navigate to yourdomain.com. 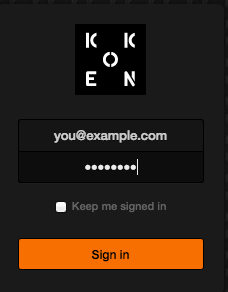 Or, if you have elected to keep the koken installation in a separate file, navigate to yourdomain.com/koken. Any issues that need to be resolved before proceeding will be listed on the page. 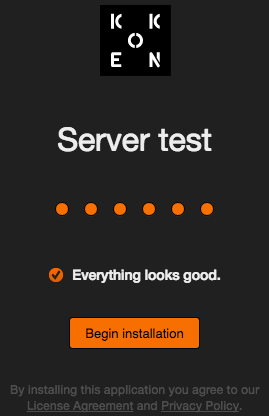 Otherwise, click on Begin installation. Use the info from steps 2 and 3 to fill in your DB info. If you've named your database something other than koken, use that name instead. Password: the MySQL password that you set in step 2. Awesome! You should now be in your admin panel. This is located at yourdomain.com/admin or yourdomain.com/koken/admin. For help getting started with Koken and to learn about its many great features, check out the official docs at help.koken.me.